Collins is pet of the week at the Rancho Coastal Humane Society. 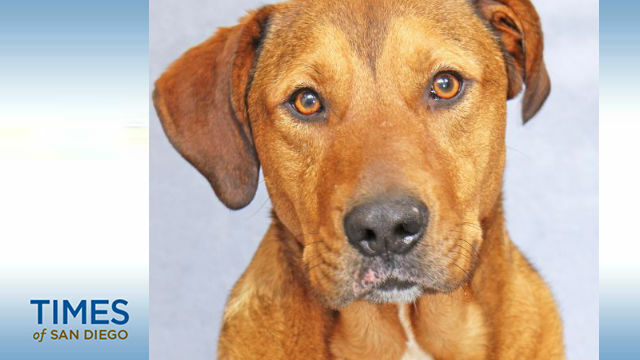 He’s a 4-year-old, 70-pound, male, Shepherd mix. He was a stray dog in Imperial County before being picked up and taken to a shelter. Collins was transferred to Rancho Coastal Humane Society through the Friends of County Animal Shelters program. In his kennel, Collins is called very friendly. Out of the kennel, he enjoys being with other dogs, officials say. Collins loves going for walks. He’s a big, active dog and needs a home and family where he will get the attention and exercise he needs to thrive. Collins likes kids, but because of his size, he might be better off with kids 7 years or older. The $145 adoption fee for Collins includes medical exams, vaccinations, neuter, and registered microchip. For more information, call 760-753-6413, visit Rancho Coastal Humane Society at 389 Requeza Street in Encinitas, or log on to SDpets.org. Kennels and cattery open 11 a.m. to 5 p.m. every day but Tuesday.